Jom sertai contest dari Clozette dimana anda hanya perlu share pengalaman percutian anda yang paling menyeronokkan dan berpeluang menang USD$100 shopping voucher.. WOW !!! Prize up for grabs: The top three (3) best entries per category (as determined by Clozette) will each win a USD$100 shopping voucher at the end of the contest period. 3. 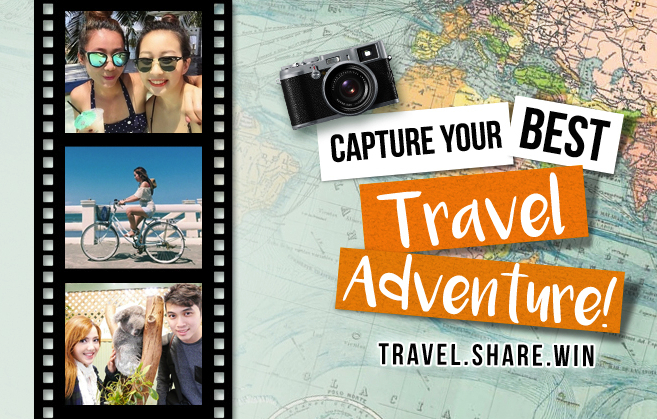 Jika anda pilih Cara 2 : upload 15 saat video travel anda yang paling BEST di Instagram & tag it with #clozette and #BestTravelAdventure.